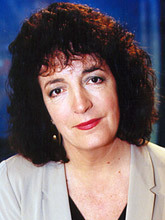 Judith Hann is one of Britain’s leading science journalists, known to millions for presenting BBC’s „Tomorrow’s World” for 20 years, as well as programmes on technology, health, food and the environment. Furthermore, Judith Hann is a popular speaker and runs roadshows throughout the UK on various scientific issues for Government departments. She also regularly acts as moderator for European Commission conferences or conferences for multi-national companies at home and abroad. She thrives on handling demanding audiences, complex presentations and lively, even heated, question and answer sessions. After graduating from Durham University with a degree in zoology and botany, Judith Hann trained as a newspaper journalist before starting her long and successful work with the BBC. During her career she has also found time to write several books: Her latest, How Science Works, has been translated into 20 languages and sold over 1 ½ million copies worldwide. With her husband, the television news journalist John Exelby, Judith Hann now runs a media training and presentation skills company where people are taught how to make the most of themselves and companies how to make the most of the media. In addition she directs media and communication skills courses for the Royal Society and advises organisations on how their new developments or products should be presented to the outside world. The British Government appointed Judith Hann to sit on the Agriculture and Environment Biotechnology Commission (AEBC) which was created to give advice on future scientific developments in agriculture. She is also currently involved in many rural issues, which inevitably include the changing role of farming in the 21st century. Together with her husband she runs a farm in Gloucestershire.